So you are pulling out your fall boxes out of the attic, and wondering if THIS is the year you can have that beautiful fall home that you see all over pinterest. ANYONE?? enter eye roll here – right?? Their homes always look so perfect: with their perfectly inviting living room, their most welcoming entryway/foyer, and their fabulous entertaining dining room, blah blah blah!!! But yet….. their homes STILL make you want to jump through the screen and lounge in front of their fireplace, or sit on their adorable entryway bench, or eat at their dining table. So how do they do this…..THEY already know the 5 Secrets for Fall Decorating: they DECORATE THE 5 SENSES!! Well, how do you do that? Stick around so I can share the main tools (the secrets) to get that beautiful fall home you’ve always wanted. Want more fall inspiration? Click here and here for fall decorating and here for halloween breakfast party. ***UPDATE*** My new posts are done…… click Fall Home Tour 2018, and Setting a Fall Table in 8 Steps, & Find Your Style: 37 Fabulous Fall Wreaths. ***And secondly: decorating for fall is a little different than some of the other seasons because it evokes ALL OF THE 5 SENSES. So what in the world does that mean? It means that the reason you want to lounge by the fireplace, or sit on the entryway bench, or eat at the table in those other homes, is because they create a mood, a feeling, a setting that arouses the senses. You want to be there because they created an inviting space that lures you in. And that is why you FALL (haha!!) in love with their homes. So, how do you do it? The sense of smell is by far the most important part of fall decorating. If someone were to walk into your home with a blindfold on, there should be NO mistake that they know it is fall time. Use pumpkin spice, cinnamon, or sugar cookie candles in the kitchen, living room, and dining room. Or try apple spice potpourri (in cute little wire containers), buttered pumpkin diffusers, or cinnamon pine cones to place in bathrooms or hallways. And don’t forget about baked goods. Besides baked goods smelling incredible anyway…. just placing the delicious-looking cookies, pies, and pastries out in the kitchen evoke the sense of smell. Decorating for fall is all about colors, accessories, & fabrics that you associate with fall time conditions (cooler weather). For example….what comes to mind when you first think of fall?? Maybe leaves falling from trees, temperatures beginning to cool off, fall festivals, and of course pumpkins? So now you will pull from all of those ideas to create your decorating scene (environment). Use darker colors: golden/mustard yellows, cinnamon/spiced oranges, deep reds or burgundy, olive greens, deep teals, dark browns, rich purples, and black. Choose accessories (that have words on them that you associate with fall events): throw pillows that say “gather” or “autumn blessings,” pennant banners that say “thankful” or “happy harvest,” or wooden signs that say “hello fall,” or “hayrides $1.” I even like to use football events (see tip below in “ears” section). Incoporate fall fabrics: plaids, tweed & buffalo check; leopard prints, suede, & velvet; fur, flannel & corduroy. Just make sure to stay away from light colors or light-weight fabrics. Want more buffalo check inspiration, click here. And of course the more obvious decor: fall flowers (mums, sunflowers, and nature-inspired wreaths); pumpkins, scarecrows and cornucopias. When you see pictures of other houses you love….they make you feel warm and comfortable. And how is this achieved – through texture. Use throw blankets and toss pillows that are made from cable-knit wool, fleece, fur or cashmere. Want more shiplap inspiration, click here or here. Rugs are another way to add texture. Again stay with darker colors, wool or shag rugs to create warmth. Don’t forget about woven baskets. They are a great way to add texture and function. Use them to store blankets, pillows, magazines, & firewood. Hay bales provide a lot of texture also. Just popping in a couple of hay bales to an area creates a perfect little vignette- without a ton of thought. If you don’t want the mess, keep in in the plastic it comes in. Taste can go in a lot of different directions. This involves putting things out that you associate with food/drinks or dining. (Like your kitchen or dining room). Use items that you associate with eating, especially “fall foods/drinks.” What?? Stay with me here. Use coffee mugs/tea cups in “fall” colors in your table decoration or leave out and make a small coffee/tea/hot chocolate bar. Coffee, hot tea, and hot chocolate are warm drinks, and people automatically associate these drinks with “hot” temperature. I’ve heard soooo many people tell me that they can’t drink “hot” coffee in the summer time because it makes them HOTTER just looking at it – what???!!! So they choose iced coffees, iced teas, frappuccinos, etc…. So, I am telling you….it works!! Put some cute mugs out girl- you’ll get it!! Same for baked goods (like I mentioned above)….sprinkle them around your kitchen/dining room. Add them to cake plates, or fall-themed “gather” serving platters/trays. Don’t forget about fruits and vegetables as well. Apples and pumpkins are associated with warm baked pies, or use gourds, cranberries, and squash to associate with thanksgiving dinners. The great thing about using fruits and vegetables is that they are inexpensive and provide a ton of natural color. Plus, they just happen to be the colors that we associate with warmth- win-win!!! ***TIP*** S’mores is another fall favorite of mine!! It reminds me of fall, fun, & family time. So try to make some this fall – you (& your kiddos) will NOT be disappointed!! There is nothing more soothing than listening to wood crackling in the fireplace on a chilly autumn night – am I right?? Just lighting the wood makes you want to snuggle on the couch with warm blankets, play your favorite movie, and sip on hot cocoa (or maybe some wine – LOL), as the stress of your day melts away. And why do you feel this way? Well, it’s because you associate the burning of wood in a fireplace with warmth, relaxation, and a sense of togetherness. It’s a place where family and friends come to gather for a night of s’mores & game night (if you have kiddos) or for hors d’oeuvres & drinks (if you’re having an adult party). So it makes perfect sense to “dress” up your fireplace and hearth during fall time, and make both of these decorated focal points. Use garland or pennant banners on the mantel, and place some of you favorite candle sconces or flowers there as well. But don’t forget the hearth (or base if you don’t have one). Use baskets or metal bins to put cut firewood in (or extra throw blankets and pillows), add a fireplace tools set, and square floor cushions and poufs for extra seating. Make it c-o-z-y!!! Can you hear the wood crackling already??!! ***This is a personal favorite for my house for fall decorating, but I wanted to add it to this section. Football (both professional & college) is another event/sound that reminds me of fall. HUH?? What I mean is that I love the sound of the the band playing during college football games, and the announcers/fans cheering for their teams, and even the smacking around of helmets. So, I hope you feel better now about getting into your attic and pulling out YOUR fall decorations. Assess what you have and go through the 5 Secrets For Fall Decorating list again. Pick out what you want to use, and go through my FALL FAVORITES SHOP for things you may need to purchase. And just remember to have some fun and enjoy the season!! Want more decorating advice? Try: modern farmhouse barstools or kitchen organization. Posts are DONE!! Setting a Fall Table in 8 Steps, Fall Home Tour 2018, Find Your Style: 37 Fabulous Fall Wreaths. If you haven’t had a chance to decorate for Easter yet- don’t worry- you still have time!! From table decor and centerpieces, to Easter treats and diy craft projects, there is something for everyone when it comes to Easter decorating and entertaining. 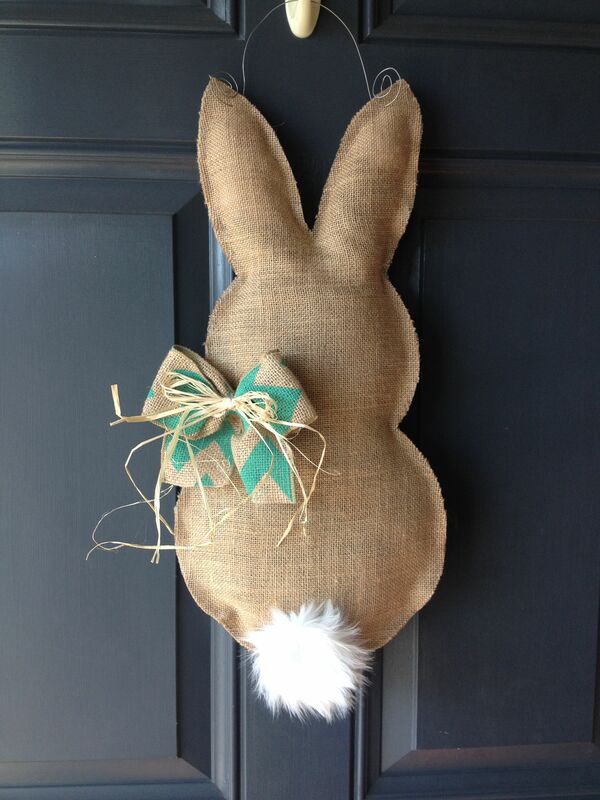 24 Adorable Easter Front Door Wreaths. The front door is no exception- it is the welcome committee to your heart and home!! It is your “hello” to welcome your guests when they arrive, and your “hug goodbye” as they leave and travel safely back home (thetarnishedjewelblog.com – 20 Best Christmas Front Door Wreaths). No matter what your “level of creative experience” is…. the only thing that truly matters is that you are honoring and celebrating our Lord and Savior, Jesus Christ…and I know He will be happy with whatever you can come up with 🙂 Amen!! So…..here are 24 Adorable Easter Front Door Wreaths to sing praises and joy to our Lord Jesus!! Recommended Posts: My Easter Tablescape: Blue & Yellow and 26 Easter Tablescapes To Try. Since we flooded during Hurricane Harvey this August, (and decorating the dining room for Christmas is not an option this year) I decided to post pictures of my Blue Christmas Dining Room from last year. It still makes me smile to see all the different shades of blue, and of course my crazy love affair with white feathers. This room is one of my all-time favorites…. it’s light and airy, but packs in a whole lotta punch. If you want to see what it looked like before we flooded Click here- Blue and White Fall Dining Room . The white feather tree I bought from Michael’s (i think) about 5 years ago, and it moves from room to room each year. But it ALWAYS comes out-LOL!!! The tree lights up and makes the feathers look like angel wings at night-swoon!! The white candle sticks are from Round Top, TX Antique Show. The glass votive that sits on top of each one makes a perfect resting spot for the ornaments so they don’t roll off. The urn is from Home Goods. I made the white feather wreath from a couple of feather boas on a wire frame. Easy to weave them into the wire frame. I painted the J & Y letters gold, and attached fabric to a wooden backing I made to go inside the frames. The frames I found at an antique store that I painted silver. The frames are very heavy, so they are on small nails. I know it is hard to see (lighting was not the best on these from last year- obviously) but the walls are gray here. If you look at my blue FALL dining room post, they are blue. I spent a year painting all of the rooms downstairs in our house gray, and I was beginning to feel like I was living in “a cloudy kind of day” mood…..and I NEED some color!!! So, there was a little change. Live out loud- Live in color…..right??!! These picks I found at Michael’s about 5 years ago too. I love how the darker teal and navy really makes the turquoise and white pop…..and I can’t decorate for Christmas without some bling. Have a very Merry Christmas & Happy New Year!!! Need more Christmas inspiration and ideas??? Click Here for Christmas Stairs Love and here for Christmas Door Wreaths. Yes ma’am – YOU. DID. IT!! Your Christmas decorations are all up inside the house (you are actually waiting for HGTV to call you any minute- for your new show….. wink-wink) and you are just getting ready to sit down and relax with your much-deserved “mommy drink” in hand…..but then something happens. Your enemy calls, and her name is “next”!! That irritating nag that keeps you at night, and wakes you up in a cold sweat, the TO DO list for tomorrow, the enemy of all enemies, the nightmares of all nightmares….. the “what do I need to do NEXT??!!”….. pest. Well, it’s not like you have anything important to do anyway- right?? You really ONLY need to get yourself in gear for the outside decorations…..OH, and remember to check the light bulbs, and your families’ gifts, and don’t forget the teachers’ gifts and coaches/dance instructor’s gifts, and help out at church, and work in some holiday baking, and, And, AND, AND AND AND…… Calgon take me away already!!!! Gosh I’m old!! You haven’t even had your first mommy sip ….and you are ALREADY cra-zee!!!. All you can think is “How am I going to get it ALL done (by myself of course), and “Why does this happen to me every year?” RING ANY BELLS?? Let’s change things up this year….. by getting this anxiety in check. 1) DIVIDE UP DUTIES– Don’t feel like you have to do Christmas all by yourself – anymore!! Ask your husband to help with his side of the families’ gifts and wishlists, and ask your side of the family to do the same. You won’t have to spend extra time “thinking” about what to get everybody, and wondering if they will like it or not. They wished it & you gifted it – period. Get your kiddos to help with teachers/coaches/instructors’ gift ideas also. They can make a special card or help you bake (or pick up baked goods- my style) for them. Your kiddos will feel proud of their gifts, and you will get to spend extra time with your kiddos! All of these tips will help will take pressure off of you. STICK TO THE LIST– Do NOT stray from the list (I know it’s hard to do)- keep the straying for the surprise gifts. Do not keep adding to the list, or continue purchasing more and more presents just because you are out shopping for other people either. When your list is completed and you have your surprise gifts taken care of, you are done!! More presents cause extra gift wrapping, extra money, extra time, extra stress…..and well extra wine!! The list was created for a reason….for you to enjoy the Christmas season!! 3) CREATE A BUDGET (and stick to it) – Attach a firm budget to the list that you feel comfortable with. If you are feeling a little nervous about it, then trim items off of the list. You can bend a little one way or the other, but have an idea of what you are planning to spend on each item. That way if you have a little extra you can buy yourself something for your resourceful efforts- hahaha!! see #4. STICK TO THE BUDGET – Don’t overspend. This will cause stress on it’s own, and in addition will mess up the planning method that you worked so hard on. Since you spent more money on little Johnny, now you’ll have to find something extra for little Susie. And on and on….. Do not overspend. 4) TREAT YOURSELF– Go ahead and allow yourself to have some wine, dessert coffee, a yummy pastry, etc….. to get you through the holidays- whenever the mood strikes. Worry about calories and exercising AFTER Christmas. Sometimes all you need is a break from ….well yourself….. to add a little pep to your step. 5) PAY IT FORWARD– By focusing on others, you will be reminded of how blessed you truly are. Do some holiday baking for friends or neighbors, volunteer for church events, donate food/clothing to shelters, etc. You can actually enjoy these activities without feeling like they are obligations. And isn’t that what the true meaning of Christmas is all about anyway…. the season of giving? Amen. 6) PLAY CHRISTMAS MUSIC – Find a radio station, pop in a CD, or download your favorite songs from I-tunes. All your stress and worries will begin to melt away as soon as you hear Christmas carols. It’s like God sprinkles a little magic every time a Christmas song is played!! No matter your age or your music genre, there is something for everyone. 7) WRAP PRESENTS/GIFT BAGS– Get all of your presents wrapped as soon as possible. Pick a night where you can spend some time wrapping multiple gifts in one setting. That way you don’t have to keep pulling out the paper/bags for each gift. If you choose to wrap, try using only 2 or 3 patterns/rolls to cut down on choices, and do several simple looks while mixing in one “fancy” gift to add a little sparkle. Need the perfect bow -Click Here for my easy Bow tutorial. Even though using gifts bags cut down on time, they can also get a little expensive. If you choose gift bags, try buying in bulk & then adding pretty ribbon/bows or contrasting tissue paper. 8) PLAN A GNO– Now that you have purchased your gifts, wrapped them, and have money to spare….plan a Girls’ Night Out with your girlfriends. You deserve a break, and you can let off some “shopping” steam to them. Women NEED to vent, so what better way to get it all out than to share some stories with your favorite gal pals. A couple of hours out with your friends = almost ONE full week of less griping to your honey!! Am i right??!! 9) ENJOY YOUR FAMILY (and the season of Christmas)- Give your loved ones a hug, say a prayer, and soak in the JOY. Yes Ma’am – YOU. DID. IT!!! What do you get when you mix navy Buffalo Check, Embroidery Hoops, and one Crazy Christmas fanatic…..well you get a beautiful combination of oversized Buffalo Check Christmas Ornament Balls!!! These balls are so stinkin’ cute, and have endless decorating possibilities. You can mix and match fabrics, hoop colors and sizes, ribbons and bows, and hang them wherever your little heart desires. Since I have already posted on how to use them as a Snow-Woman (Part 1 of the series), click HERE for the supplies needed and tutorial on making the buffalo check hoops. Want to simplify….leave out fur ball ornaments and fur ball picks (scroll down for pictures). Now, that you have seen the tutorial…. Once the 3 hoop are done, we cans add the ribbon, bows, and fur balls/picks. The fur ornament balls have a clear hanger that you will attach to the tying ribbon of the bow – click here for Bow Tutorial. I used the navy ribbon for the single fur ball and dot gold ribbon for the double fur balls. I used the same gold ribbon for the small hoop and large hoop (with 4 loops each) bows, but just made a larger bow to fit scale of large hoop. I stuck the fur balls picks into the right and left sides of the bow. I used the dot bow from the snow-woman tutorial for the medium hoop. Here are the ribbon lengths, and the navy ribbon is 2.5″wide. You can choose whatever width you want. I used the navy ribbon to add contrast, and to cover more of the stair wall. ENJOY YOUR BUFFALO CHECK CHRISTMAS ORNAMENTS!! Ever since I posted my Blue and White Fall Dining Room and 10 Ways To Add Buffalo Check, I have been determined to do a DIY Christmas project using my navy and white buffalo check fabric. I have pinned tons of Christmas inspirations for black and white check, red and white check, and red and black check, but wanted to try something different. And since I am in love with all things blue and white anyway….I came up with a couple projects where I finally got to use my navy buffalo check fabric- YAY!! Buffalo Check DIY Snowman: Using Embrodery Hoops (part 1). Here they are white. If you want to choose a different color, go for it. The spray paint acts as a trim color so be creative. Lay hoops out on fabric to get an idea of where you will want your checks to go. I used the check on the diagnol for the small & large hoops, and straight for the middle hoop- just to give it a little interest. You can always use a coordinating fabric also. I cut out a piece of liner to go behind my fabric so you can’t see through it. You can always double up on fabric too (but who wants to waste the cute buffalo check on the back side)?? Unscrew at top to loosen hoops. Pull gently to separate hoops. Lay bottom hoop down on hard surface. Place fabric (and liner) on top covering bottom hoop….with equal amount of extra fabric hanging over the entire loop. Make sure checks are in a straight line. Place second hoop (one with screw) on top of fabric and bottom hoop. Might need to give it a gentle pull or unscrew a little more to loosen if it won’t cover fabric and bottom hoop. ***double check one more time to make sure checks run in straight line. *** Then tighten screw- but not completely tight. Flip over. Gently lift up on fabric to pull any bumps tight. Once fabric is all smooth and pulled firm……tighten screw completely. TIP: you will have to pull check fabric and liner separately sometimes to get bumps out. Now cut about 3/4 inch or inch around hoop in a circular direction. Here you can see that I laid mine out in a diagnol pattern. Glue down fabric (and liner) to wooden loop. Be careful when doing this so that you don’t accidentally get glue on your top fabric (you can hold the loop upright like a hula hoop and glue like that). I laid mine out just to see what it would look like. Here you can see the top and bottom loops are on the diagnol, and the middle hoop is straight. Attach a gold ribbon around each screw by tying a knot. Begin at the bottom hoop, and give yourself A LOT of extra ribbon for this before cutting. Hang it on the door to help with the next part. The hoops will look like they “are dancing around.” TIP*** Tie knot in top part of ribbon to anchor in door so that it won’t slide out. Repeat for middle hoop to connect to ribbon. TIP***Make sure your hoop is straight (screw part is lined up to ribbon) before pressing down. Otherwise your hoop will lie crooked. If so, pull gently….and try again!! I used 4 loops – just a fyi- and tied to existing gold ribbon. Hang on the wall with a nail if you want inside the house. HELLO THERE MS. BUFFALO CHECK DIY SNOWMAN!!! Love snowmen? Try Christmas Snowman: DIY Cotton Ball Wreath. Or want more navy Christmas Ideas? Try Christmas Dining Room: Navy + Red. Hi and welcome to our Blue and Orange Fall Living Room. I carried on the aqua and orange in here from the foyer because the colors just make me happy and smile. There’s something soothing and refreshing about these 2 colors when paired with gray, pops of white, and dark browns. You can see our fall dining room here and halloween-fall foyer here. I love colors, pattern and texture when decorating our house. I begin with big impact- like the rug, then go from there. I try to keep other accents pieces neutral or in the same color palette, and use accessories to add big impact. The oversized clock is an example of the “punch” of impact. It ties in with the dark color of the chair legs, curtain rods, tv, and fireplace. The lampshades are another “pop” of pattern/color. I love how dramatic they are- they add just the right funkiness to the room. The navy shades pick up the cobalt in Boomer’s dog bed. The orange in all of the accessories spring to life against the aqua, and give the room a certain playfulness/whimsy. I borrowed the “love” pillow from the foyer to accent the chair, and tie in the orange in the pumpkin. The black and white striped basket also ties in with foyer and the clock. Here’s the view from the foyer side- below. Here’s the view from the kitchen side. The barstools carry on the same warm gray undertones to keep things neutral. This is one of Boomer’s favorite places to sleep during the day- under that chair. I am writing this post as well as the foyer post with a very heavy heart. We were flooded by Hurricane Harvey in Katy, TX (Houston area) a month ago, and all of these pictures were taken beforehand. My first blog post of the dining room was published the Friday the storm hit the TX gulf coast, and this has been my first chance to post these other 2 rooms. Our house will never look like this again, so it tears me apart to post these pictures. Please pray for our area as we rebuild our homes and our community. I will post pictures of our recovery/rebuilding as it happens. Thanks for your understanding. Hi and Happy Sunday! I have gotten my Halloween-Fall foyer completed, and wanted to show yall some fun pics. If you are heading over from my fall dining room or my fall living room, welcome also. I started with these 2 cubby bookshelves that I found at Home Goods a couple of years ago, and just pushed them together so that I could have 8 cubes. I love how versatile they are. I can use them as separate pieces- like as night stands, or together as a console or sofa table. I have loved the different shades of aqua/teal/mint with orange for Fall decorating for several years, and decided to add the black and white this year. The striped baskets and love tote are also from Home Goods, and make the cubbies come to life. They act as a grounding base/neutral for my other colors, plus they give the eye somewhere to rest. The cubbies are also great for adding your kiddos’ art work they have made over the years, candles, cute Halloween pics, candy, shoes, etc. The possibilities are endless. The Blue love pillow is also from Home Goods – I just added the orange and blue ribbons to bring in my colors. Here is a view from our front door before I added the lights. The spa blue lamps add additional light at night, plus add a big punch to the cubbies to tie in the other blues. Here is what it looks like with the ghost lights, and the BOO lit up. Both of these lights are from Target.